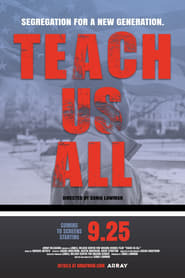 Teach Us All Full Movie On the eve of the 60th anniversary of the 1957 Little Rock school desegregation crisis, educational inequality remains among the most urgent civil rights issues of our time. With its school district hanging in the balance following a state takeover in January 2015, Little Rock today presents a microcosm of the inequities and challenges manifesting in classrooms all across America. Through case studies in Little Rock, New York City, and Los Angeles, Teach Us All seeks to bring the critical lessons of history to bear on the current state of U.S. education and investigate: 60 years later, how far have we come-or not come-and how do we catalyze action from here?